Another big turning point for me was the book Sweaters by Tone Takle and Lise Kolstad. It was very challenging to take on the idea of circular needles and steeks. It really requires faith to make a steek for the first time! There was something so distinctly different about knitting a repeating pattern. This V sweater for Jirina was the first result of this type of knitting. My current knitting is a mix of pictures and more traditional-style patterns. It was certainly easier for me to design picture sweaters when my children were young and actively fueling my imagination. My growing granddaughters Layla and Shaina are opening new doors for me - while also slowing me down! 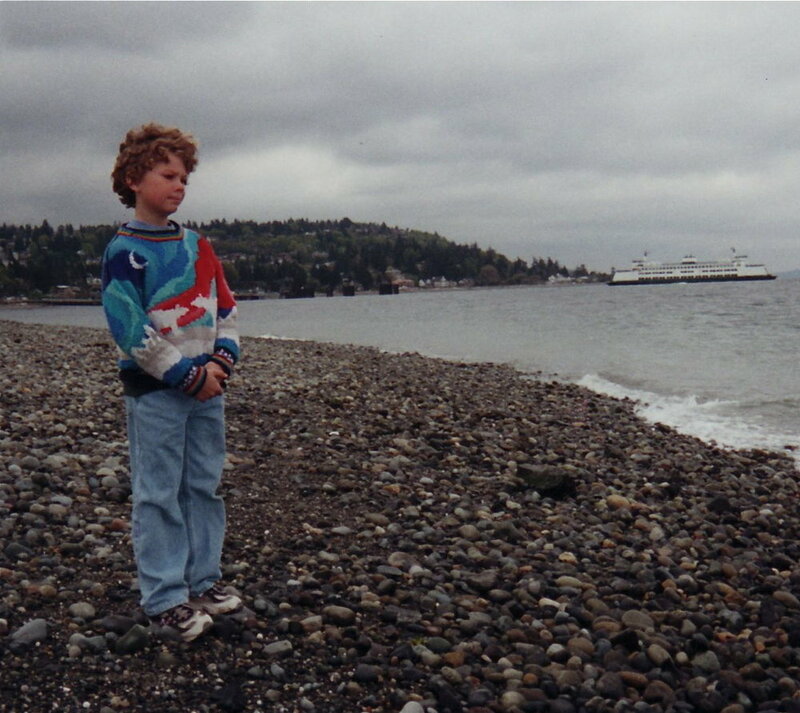 Here is Levin in his Northern Lights sweater during a spring break trip to Seattle.